The list provided below is not to be considered an all inclusive list of licenses for the City of Racine. NO LICENSING AFTER 4:30 p.m.
"Class B" liquor license information"
The City of Racine currently has no "Class B" Liquor Licenses available. 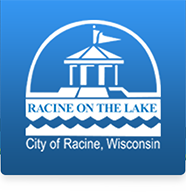 Please contact the City of Racine City Clerk’s Office for information to be placed on the “Class B” waiting list at (262) 636-9171. NOTE: If an applicant has a Reserve “Class B” License, they will automatically receive the opportunity to apply for the first Regular “Class B” License. Combination “Class B” alcohol licenses, Reserve “Class B”, “Class A” and Class “A” alcohol licenses have quotas in the City of Racine. An applicant must pay $1,000.00 fee towards a “Class B” License to be placed on the waiting list. Applicants will be placed on the waiting list in order of fee submission and other required materials. An original alcohol beverage license application (AT-106) is required with the fee. The first applicant on the list will be considered for the first available regular “Class B” license, when one becomes available. When the first license becomes available, the necessary fees from the $1,000.00 paid by the first applicant will be used to begin the application process for the regular license. If the application is approved by the Common Council, the license will be awarded. Any funds remaining after application will be deposited in the City Treasury. If the license is withdrawn or denied, a refund should be issued of any portion of that money that has not been earned (processing fee, background check fees, publication fee if any, etc). Applications are available at the City Clerk’s Office, City Hall 730 Washington Avenue, Room 103, Racine, WI, On the Department of Revenue website at www.dor.state.wi.us. The fee for a renewal of a Stationary Engineer License is $25.00. Please bring a valid identification and your asope card. Due to the complexity and requirements associated with applying for Alcohol licenses, you should contact the City Clerk's office for detailed information. Below, you will find a list of applications which can be downloaded, filled out and brought into the City Clerk's office. Application for Public Passenger Appl. to Add Veh. (s) to Existing Bus. Lic.